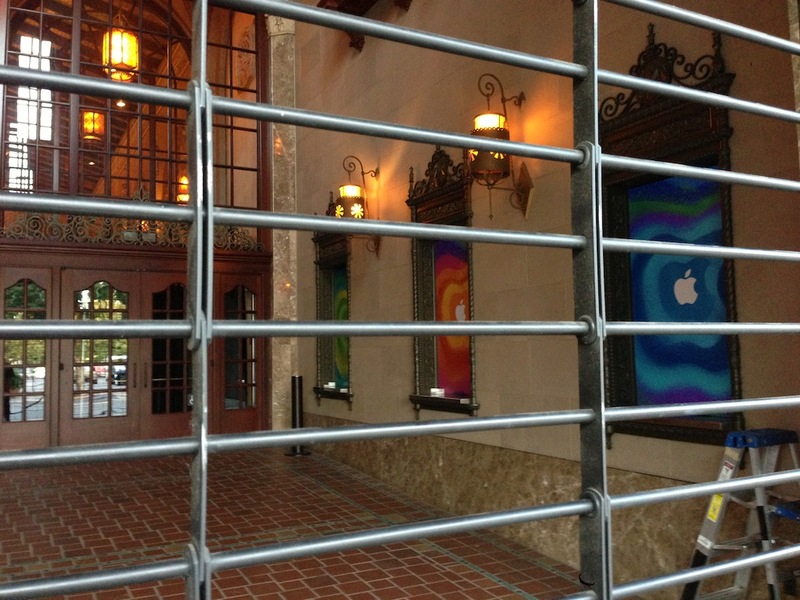 Apple’s media event that is likely to feature the announcement of the so-called iPad mini is just about 36 hours away, and the company has already begun putting up decorations for it. 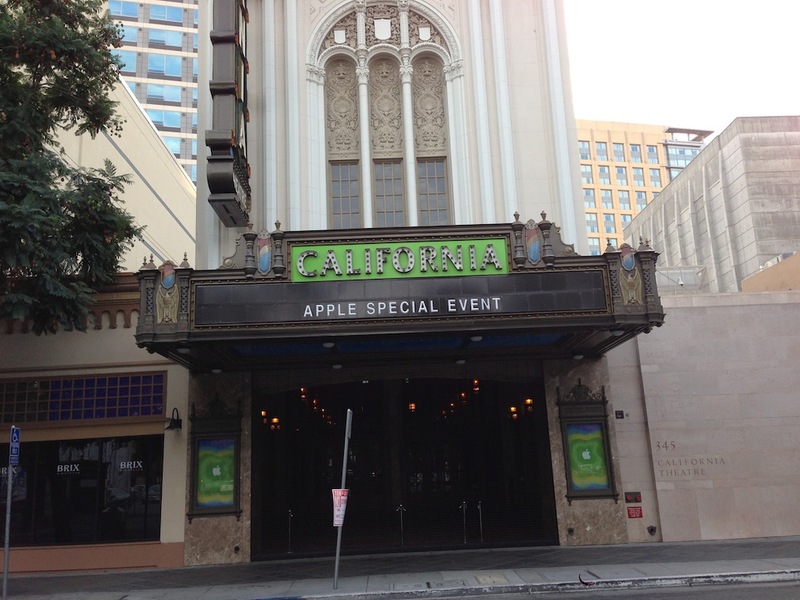 Techie Buzz (via Cult of Mac) has photos of the California Theatre in San Jose that show mildly psychedelic colored posters featuring the Apple logo. The iPad maker sent out invitations last week with the tagline “We’ve got a little more to show you.” The event is widely believed to be for a smaller 7.85-inch iPad, and is also likely to include new Macs. References to “iBooks 3.0” found in iTunes also point to a strong iBooks focus for the rumored iPad. The event, which comes roughly one month after September’s iPhone 5 and iPod announcement, kicks off at 10am Pacific on Tuesday, and we’ll of course be keeping up on the news. While you’re waiting, you can head over to Techie Buzz to see more photos of the theater. With device makers finalizing their holiday line-ups, fall’s an exciting season for gadgetheads. Beyond Apple’s launch, there’s also a Google event on October 29th that should bring new tablets and smartphones and Microsoft’s also holding a Windows Phone 8 launch on the 29th.